Wow! This is truly a 5 star place. You get every pennies worth of your stay. Antonio truly cares about each guest and learns your name at that! Antonio personally prepared breakfast which was very plentiful! 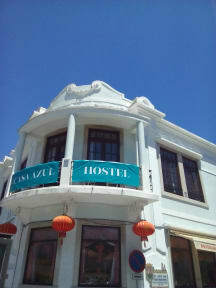 The hostel is a small walk from the city center and conveniently between both train stations of Sintra. I would 100% recommend! The best hotel I got in my trip! António is such an AMAZING owner, since from the beginning he was very helpful. I got the private bedroom and it was so beautiful and so clean, looked like a 5 star room. This hostel has the best breakfast, with a lot of varieties of food. António makes everyone feels so comfy that you feel like you’re in his own house, mostly because there is a limited number of guests. Everything is so clean and so cute, great atmosphere to relax and enjoy Sintra. Super kind Antonio. I arrived really late but he understood that and waited for the check in. Friendly atmosphere :) He prepares lovely breakfast. The place was also really lively, I think the contribution definitely goes to the host. Close to Sintra Station. António is an amazing host! If you want to stay somewhere in Sintra, Casa Azul is the place. A little place full of hospitality and kindness! Not a party hostel, which is why I booked here. Antonio was just so incredible. He is very engaging and friendly. This place truly stands out because of the gracious host and spotlessly clean facility. 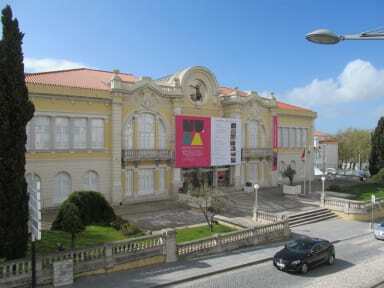 It is not right in the old town but surrounded by local businesses and people of Sintra. Yet all within walking distance. By the way, the way breakfast is served, you think you are staying at an expensive Bed-and-breakfast establishment. Very cozy hostel! Antonio was wonderful and so very helpful. The beds were the comfiest we’ve slept in and the place was pretty quiet. Must stay! Antonio is so kind and welcoming, he has created a Bed and Breakfast kind of atmosphere. It’s a smaller and cozier kind of hostel, breakfast was great and rooms adequate. Only complaint is that there was only one bathroom with a shower for all 13 guests, and the bunk bed mattress wasn’t the most comfortable, but not bad for a hostel price and considering all the other amenities he provided. Overall it was a good stay and I would come again! I had a great time at Casa Azul. Antonio was extremely helpful, not only with suggestions of what to see/do, but also with transport advice. The breakfast spread was comparable to that of a guesthouse - there were even boiled eggs! My bed was very comfortable, and I appreciated being able to use the kitchen. If I could change one thing, I would take out the air freshener in the bathroom. The smell kept making me sneeze.